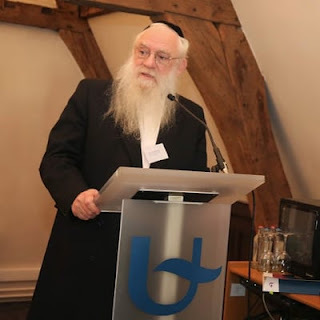 Rationalist Judaism: Is There a Disconnect between Torah Learning and Torah Living? While "The Lakewood Disaster: The Insiders' Take" was not the first post you've retracted, if my memory serves, you usually comment in a subsequent post on what led you to reevaluate your earlier post. Will you share with us why you retracted the previous post? Deleted does not necessarily equal retracted. As you pointed out, it only deals with very specific aspects of the Lakewood situation. It completely fails to address one of the biggest elephants in the room. Unfortunately, the Torah and Chazal send a very mixed message as to how we should relate to non-Jews. Does anyone really believe that it's possible to read the Mishna Berurah's lamentations on Jewish doctors who are, nishtugedach, mechallel shabbos to travel and treat non-Jews without that impacting one's attitude towards the same non-Jews? The stories of Rav Yaakov Kaminetzky are nice, but they're easily counter-weighted by all the statements and even halachot which paint a different picture of our relationship with non-Jews. As far as I know, there is a clear division in Halacha. Actions which harm non-Jews is forbidden. Inaction which harms non-Jews is permitted. And then there's Darchei Shalom, which generally overrides any considerations of inaction, and forces one to act. You would think those who learn Talmud all day would be able to discern this and act accordingly. Unfortunately, as CHaZaL well knew, no amount of book learning teaches Derech Eretz. To give him the benefit of the doubt, many Israelis, especially those over a certain age, call the airport Lud. Go into any hotel and ask for a sheirut to Lud and you'll wind up at the airport, not the town. "Rapture and Reconstruction" should be required reading in many Jewish communities.